Are you lazy or lost about surprising your loved ones with that one perfect gesture? Don’t worry, there are folks who can help you with the planning from A-Z. 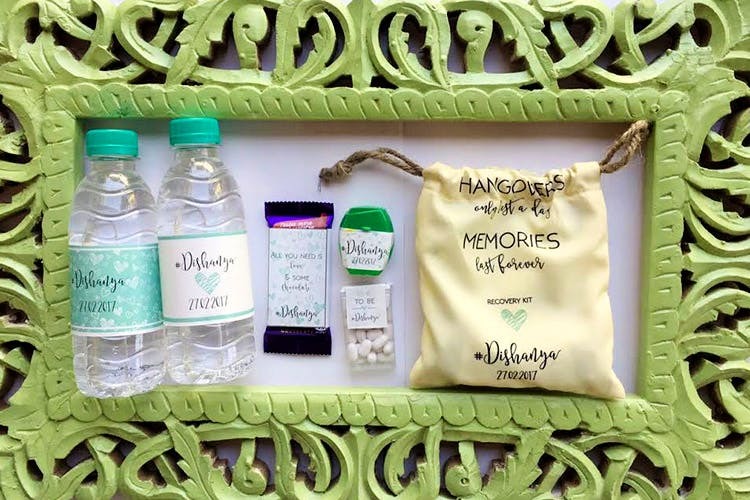 Surprise Company, a Delhi-based start-up helps you plan and execute any surprise you may want to give to someone special. Be if for someone in your family or bae, these guys roll their sleeves up and come out with some really creative ideas. The best part about their services is their personalised stuff. You can get just about anything personalised for that special someone. Be it a champagne bottle or even a mineral water bottle, just about anything can have the name or a message on it. They also plan great surprise concepts, if there is something very special you want to do for someone. For example, they organised a cookout at a pizza place for a girl who wanted to cook dinner for her boyfriend. Everything was perfectly planned to the T.
Get in touch with these guys if you have something in mind for someone but don’t know how to make it happen. Call them at +91 9810583583. You can also check them out on Instagram. Their services start from INR 5,000 and go up to INR 15,000.